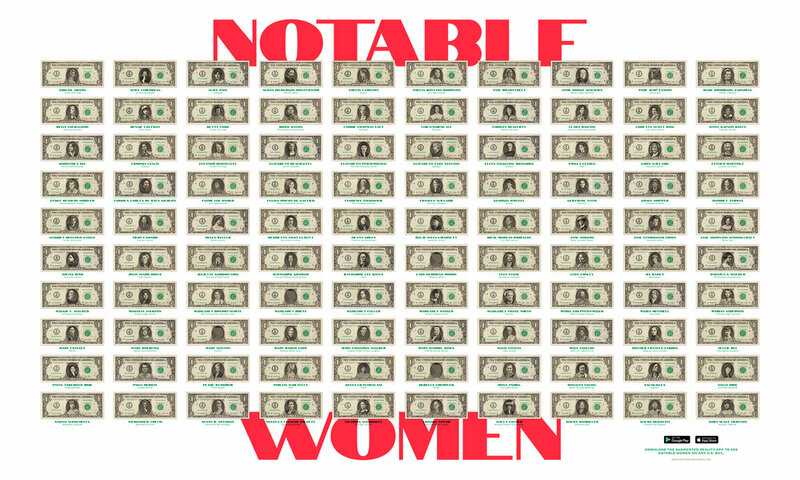 Notable Women lets anyone see 100 historic American women where they’ve historically been left out: U.S. currency. Notable Women leverages augmented reality to reimagine who deserves one of the most iconic honors in America: a portrait on our currency. All a user has to do is point their camera at any denomination of U.S. bill. This will trigger an AR overlay that replaces the existing man’s portrait with one of 100 notable women. From there, a user can tap that portrait to read her bio, or discover more leaders by pressing the arrows. Made in partnership with Rosie Rios, the U.S. Treasurer under President Obama and the force behind the Harriet Tubman $20 bill, Notable Women lets anyone see 100 historic American women where they’ve historically been left out. Thoughtfully designed for the classroom, this project empowers tomorrow’s leaders to learn about the women who shaped U.S. history in a place that, for more than 100 years, has only featured men. As Team Lead on Notable Women, I pitched the concept, set vision and launch strategy, and managed our partnership with former Treasurer of the U.S. Rosie Rios. Read more in Fast Company or try it yourself with the iOS or Android app.